Sometimes you may want to remove one or two tickets from an order. Instead of cancelling the whole order, you can simply void individual tickets. Note: this feature is not available for classic events. Click through to the Orders section in the Admin panel. 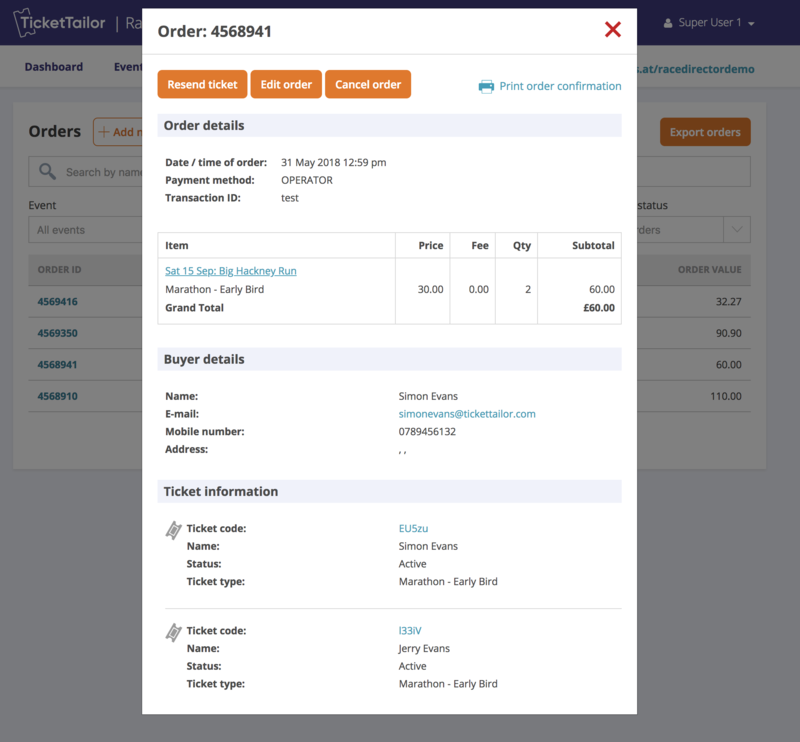 Find the order that you would like to void tickets from using the search tools and click on the order. A window should pop up showing you the order and the tickets. 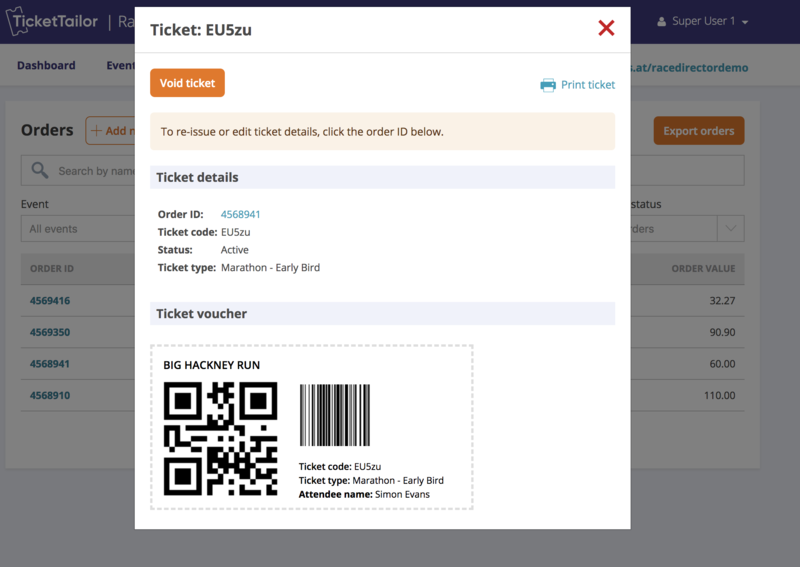 Under Ticket information you will see the tickets they have ordered. Click on the Ticket code in blue and it will load up the individual ticket. Click the Void ticket button and click to confirm. The ticket will now show as void on the doorlist and won't appear in the app. 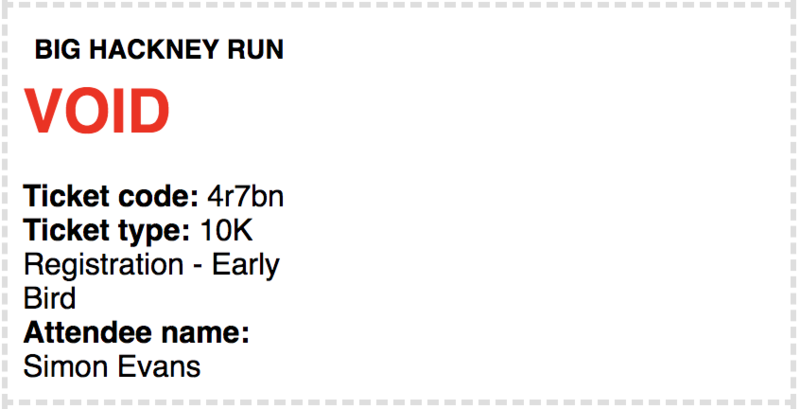 If you resend the customer their order confirmation the specific voucher for this ticket will show as VOID. Voiding a ticket does not affect anything financial about the order. If you need to refund the ticket buyer an amount then this can be managed directly from the admin panel of your payment processor (e.g. by logging in to Stripe or PayPal).